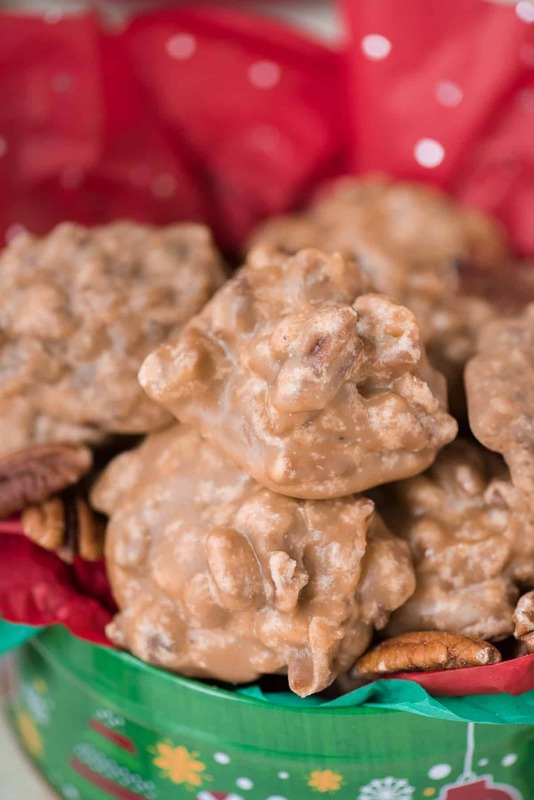 Learn how to make classic pecan pralines at home with our tips. 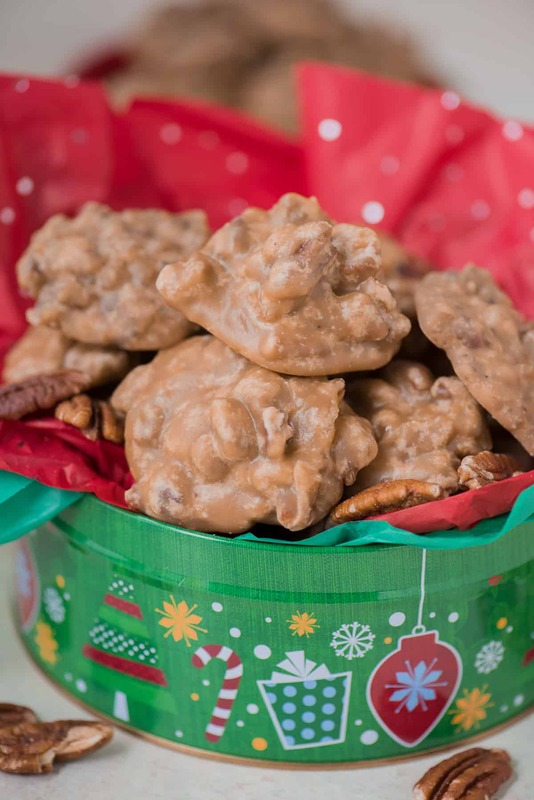 These pecan pralines are buttery, sugary with a nice crunch and highly addicting! Friends, I put my soul into this recipe. Prior to this, I had ZERO experience with pecan pralines. I’m not even sure I ever had one. 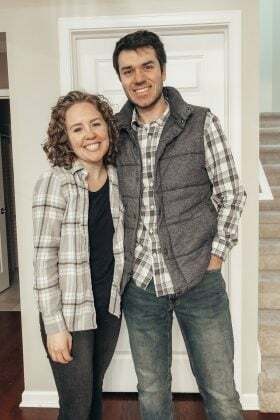 So this was a whole new adventure! First things first, I do not recommend making pralines without a candy thermometer. It’s crucial to the cooking process to get the temperatures pretty exact. I know it can be a bummer when a recipe calls for a candy thermometer because I wouldn’t consider it a standard kitchen tool. But they are pretty cheap and then you can use it for certain caramel or fudge recipes and for making homemade fried donuts. Okay, so we established that you need a candy thermometer. 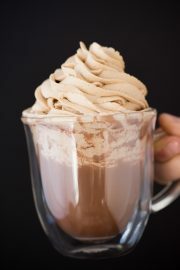 Second, I would plan to buy enough ingredients to make this recipe twice. I made this recipe FOUR times before I felt comfortable with the process. 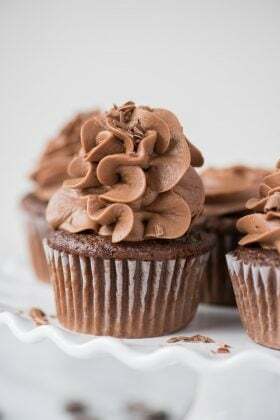 The actual making of the recipe is really hands on and the steps happen fast, so I recommend planning ahead and getting more then enough supplies in case you need to make another batch. Third, be kind to yourself! I make desserts for a living and there was definitely a learning curve involved for me, so take your time, and like I said, buy enough supplies for multiple batches! Once you nail it, you’ll get to reap the benefits! 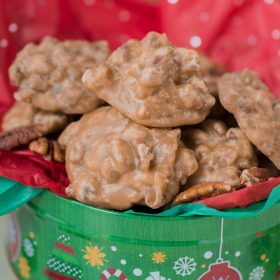 These pecan pralines are buttery, sugary with a nice crunch and highly addicting! If you undercook the praline mixture, it won’t crystalize and you’ll end up with caramel like pralines. 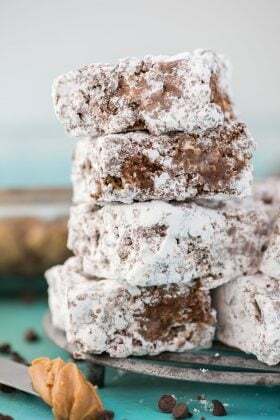 If you overcook the praline mixture, you’ll end up with a crumbly, dry mixture that won’t clump together. And if you get it just right, you’ll have pecan pralines! We hope our video recipe will help guide you through this recipe. Be sure to read over the instructions carefully before you begin and get everything set up, that will ensure that you know what you are doing, helping you make the best pralines! 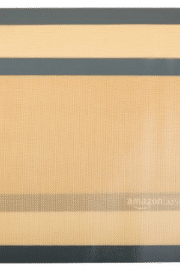 Line a large baking sheet with a silicone baking mat or parchment paper. Prepare 2 pans. In a 4 quart pot (that’s about a medium sized pot) with a candy thermometer clipped on the side, combine the sugar, brown sugar, heavy cream, milk and butter. Cook over high heat, stirring constantly until the mixture reaches 236º F (soft ball stage). 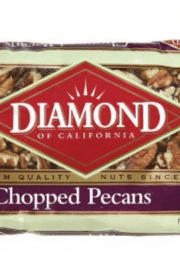 Add in the chopped pecans, the mixture will drop about 10º F - constantly stir the mixture until it reaches 236º F again. 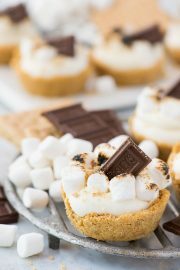 Quickly add in the salt and vanilla extract, the mixture will bubble up, remove the pot from the heat, and stir constantly for 3 minutes. Continue to stir the mixture while using a cookie scoop to drop pralines onto the prepared baking sheets. The best way to do this is to get a buddy to stir the mixture while you scoop! And the key is that you have to move FAST while scooping. Once the mixture cools too much, it will become crumbly and won’t form nice pralines. 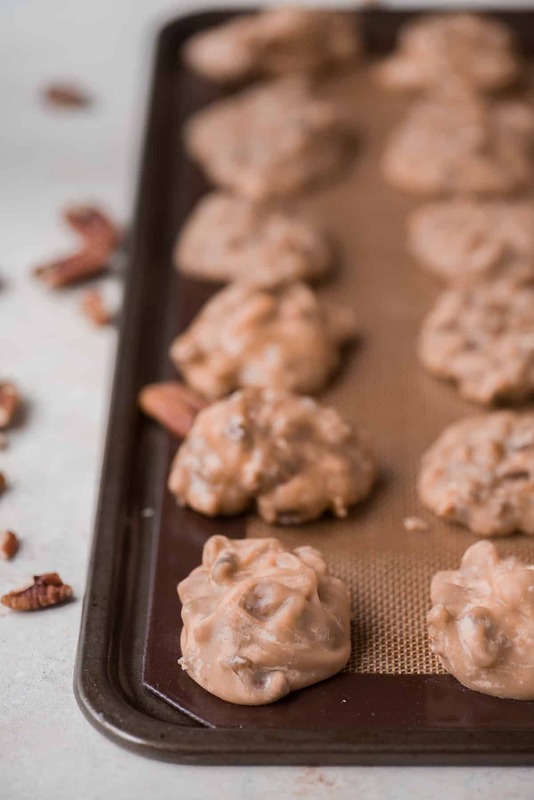 Allow the pralines to fully crystalize before removing them from the baking sheet. This could be 20 minutes up to 2 hours. It really depends on how long the mixture was cooked. Once set, store the pralines in an airtight container on the counter. 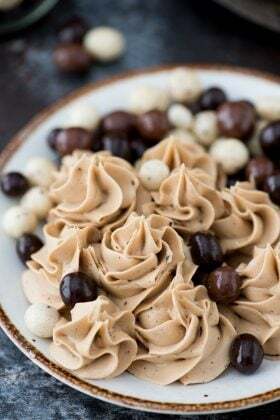 Be sure to read the post before making the pralines, I give a lot of helpful tips! I love pralines!! Thanks for sharing!!! 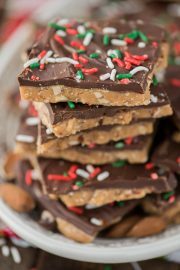 These sound perfect for holiday baking! It turns out great and it tasty delish I would make it again!!???? So glad it turned out great! Setting the pan over a bain marie helps keep the praline soft during scooping. Not as good as a spare set of hands, but it helps! Be sure the bain marie is removed from the heat. Don’t throw out overcooked praline! Crumble it & store in a cool dry place. Use a topping for ice cream & desserts. Undercooked praline is yummy on desserts & ice cream. Even failed praline can be a success! I just made these. I wasn’t sure if I should use light or dark brown sugar. I only had light so I used 1 and 1/3 cups brown sugar and 2/3 cup white sugar to add a little extra flavor in case I was supposed to use dark. 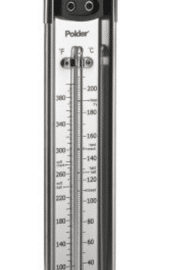 I have a digital thermometer and, for some reason it stopped registering higher heat at 217 degrees. I knew it was still getting hotter, so I had to guess when to take it off the stove. I got very lucky and it worked well. The texture and flavor are fantastic. They may be the best pralines I have ever had. I used extra pecans because that is my one rule in the kitchen. Hi Jim! That’s a great question. I typically only have light brown sugar in my pantry, so that’s what I used when I was testing this recipe. I love the idea of adding extra pecans, because.. why not?! What’s the difference between heavy cream and heavy whipping cream? 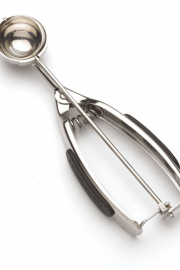 Can the heavy whipping cream or evaporated milk be used instead? heavy cream and heavy whipping cream are the same thing. Some brands just emphasis the words “heavy cream” vs “heavy whipping cream”. Excellent recipe, though I replaced the milks with 1 can each of condensed milk and sweetened condensed milk. The pralines set perfectly and are darn near as good as my pawpaws recipe. Thanks for sharing! So glad it came out well and that those substitutes worked for you!